A transition readiness assessment report prepared for Panama’s country coordinating mechanism says that “it is unlikely that Panama’s HIV-related civil society can effectively survive the exit of the Global Fund or gain a greater foothold as a full partner in [the] planning, implementation and monitoring of the national HIV response.” Despite this gloomy assessment, the report calls for measures to strengthen civil society organizations. The Global Fund has agreed to accept in-kind payment in lieu of cash for $27.4 million in recoveries owed by Ghana. The recoveries stem from losses incurred when a fire destroyed the central medical stores warehouse in 2015. This is the first time that the Fund has agreed to such an arrangement. As a result of a pricing agreement between the Bill and Melinda Gates Foundation and two generic drug companies, starting in 2018 a state-of-the-art fixed dose combination ARV regimen will be available in 92 developing nations at a maximum cost of $75 per patient per year. The Global Fund was one of several organizations that worked on the agreement. In the third of a three-part series, we look at some of the problems that delegations from the African constituencies to the Board have identified at the level of the Global Fund Secretariat with respect to poor grant absorption. The problems relate to conditions precedent and management actions, as well as policies on fixed vs. variable payments and country categorization. Ignoring cuts proposed by President Trump, the appropriations committees of the U.S. Senate and House of Representatives have approved funding for global health programs – including the Global Fund and PEPFAR – for fiscal 2018 at about the same levels as last year. As part of its new strategy, the (U.S.) President’s Emergency Plan for AIDS Relief will have a particular focus on 13 countries with high levels of HIV that have the best chance of controlling their epidemics by 2020. The Global Fund Secretariat told Aidspan that it is already working on how best to coordinate its efforts with the new strategy. Health GAP, a U.S. NGO, was critical of the strategy. In what has been hailed as a “breakthrough” and a “game changer,” a pricing agreement between the Bill and Melinda Gates Foundation and two generic drug companies will result in significant savings in the cost of antiretrovirals (ARVs). As a result of the agreement, starting in 2018 a state-of-the-art fixed dose combination ARV regimen will be available in 92 developing nations at a maximum cost of $75 per patient per year. The news service Reuters was the first to report the agreement on 21 September. The generic companies are Mylan Laboratories and Aurobindo Pharma, both based in India. Besides the Gates Foundation and the two drug companies, a number of entities have been working on the pricing agreement. They include the governments of South Africa and Kenya, the Global Fund, Unitaid, UNAIDS, the Clinton Health Access Initiative (CHAI), the U.K.’s Department for International Development (DFID), PEPFAR and USAID. The ARV regimen contains three drugs: tenofovir, lamivudine and dolutegravir, and is known as “TLD” for short. 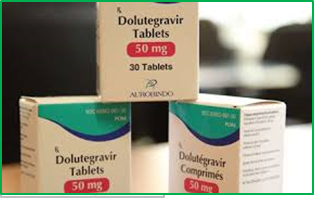 Dolutegravir (DTG), the newest of the three drugs, is an integrase inhibitor that avoids the drug resistance that often develops with older treatments. DGT is widely used in developed countries. According to Reuters, the maximum price of about $75 per patient per year is less than the list price for one day’s supply of a DTG-based combination regimen in the U.S.
DTG was originally developed by ViiV Healthcare, the HIV business majority-owned by GlaxoSmithKline. ViiV has offered licensing deals to generic companies to sell low-cost versions of the medicine in developing countries. Reuters said that clinical trials have shown that treatment regimens that include DTG work faster, have fewer side effects and demonstrate greater potency against drug resistance than standard HIV drugs used in Africa and other developing countries. As well as improving treatment, the drug combination should also reduce the need for more expensive second- and third-line drugs. Under the agreement, the Gates Foundation will guarantee minimum sales volumes of TLD. The parties to the agreement estimate that it could save health ministries and other public-sector purchasers more than $1 billion in drug costs over the next six years. The Global Fund spends about $4 billion a year, of which 40% ($1.6 billion) is for the purchase of health products. Half of that amount – $800 million – is for ARVs. The media platform Devex reported that the under the terms of the agreement, TLD can be licensed in countries categorized as middle-income; and that this will help increase access to ARVs for countries that graduate beyond low-income status. “We’re getting better at taking innovation from the West and making it available [elsewhere],” Anil Soni, head of global infectious diseases at Mylan Laboratories, told Devex. The first generation of antiretroviral HIV treatments took 12 years to move from affordable use in developed countries to use in low-income countries, Soni explained. The second generation took six years. This third generation of ARVs, Soni said, took three years to find its way from wealthy pharmaceutical markets to countries struggling to increase the number of HIV-positive people on treatment. “It should be zero, frankly,” said Soni, who previously was chief executive officer at CHAI. To build momentum for TLD and familiarize healthcare workers with the drug in resource-limited settings, CHAI partnered with Unitaid beginning in late 2016 to make generic DTG single tablets available in three early adopter countries: Kenya, Nigeria and Uganda. UNAIDS said that in July of this year, Kenya approved the inclusion of DTG in its national ARV therapy program. In a news release, UNAIDS said that the agreement is expected to accelerate treatment rollout as part of global efforts to reach all of the estimated 36.7 million people living with HIV with high quality ARVs. UNAIDS estimates that about half of them –19.5 million people – currently take ARVs. In a news release issued on 22 September and published by the AllAfrica news service, the South Africa Department of Health said that the new regimen will save South Africa about 11.7 billion rand (about $900 million) over the next six years. South Africa plans to launch a new tender for TLD in April 2018. The new regimen “will have profound implications for the HIV treatment programme in South Africa’s public health sector,” the department said. The number of patients in South Africa receiving ARVs has grown from 923,000 in 2009 to 3.9 million as of the end of August 2017. In September 2016, the department announced the roll-out of a test and treat initiative with the aim to have six million HIV-positive patients on treatment by 2022. “Dolutegravir is a highly effective antiretroviral, which is well tolerated by patients and has fewer side effects. Patients are therefore more likely to be adherent and more likely to be virally suppressed, which means that they are not likely to transmit the virus to others,” the department said.